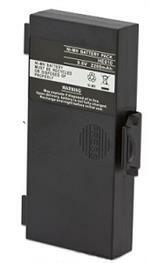 BA205: 6 volt 2200mAh rechargeable Ni-MH battery pack for Remote Crane BA2225030 BA225000. 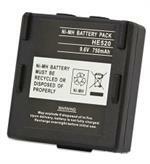 Replaces BA225030, BA206030, BA225000. Fits in Crane remote models FUB05XL, FUB05AA, FUB5AA. 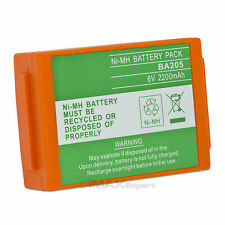 BA210: 2200mAh rechargeable NiMH Crane remote battery. Dimensions: 6" long x 2 3/16" wide x 3/4" thick. Weighs 12oz.